Despite the inability for many to recognize this fact, Islam is not new to America. A Muslim presence existed in the Western hemisphere for centuries. As an African-American, I know of its influence in my community, family, and home even before my conversion. I am a part of an American community containing subtle and ever growing Islamic influences. My grandmother, a Christian, had a picture of Elijah Muhammad hanging on her wall until her death. 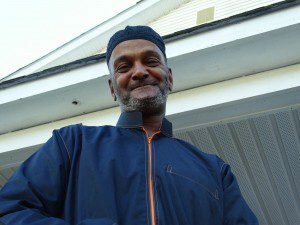 Where I lived, many African Americans were familiar and comfortable with common Muslim/Arabic phrases like As Salaam Alaykum and Allah; and although seeing a Muslim woman fully covered was not commonplace, it did not incite anxiety or hostility in the community. I discovered that this was very different when I became Muslim and moved to a predominantly white community. The familiarity with Islam and Muslim identifying markers was mainly nonexistent. The stares and the consistent question “What are you?” demonstrated a disturbing variation of cultural awareness. I became determined to deduce not only why such socio-cultural disparities occur but also their effects.